Digital printing fabric contour laser cutter with big CCD camera is ideal for cutting digital printing textile fabrics of all shapes and sizes, such as team uniforms, sportswear, polo shirt, jersey, swimwear, cycling apparel, sports shoes, banners, flags, stripe matching, plaid matching, repetitive visual pattern fashion garment, bags, suitcase, soft toys, etc. 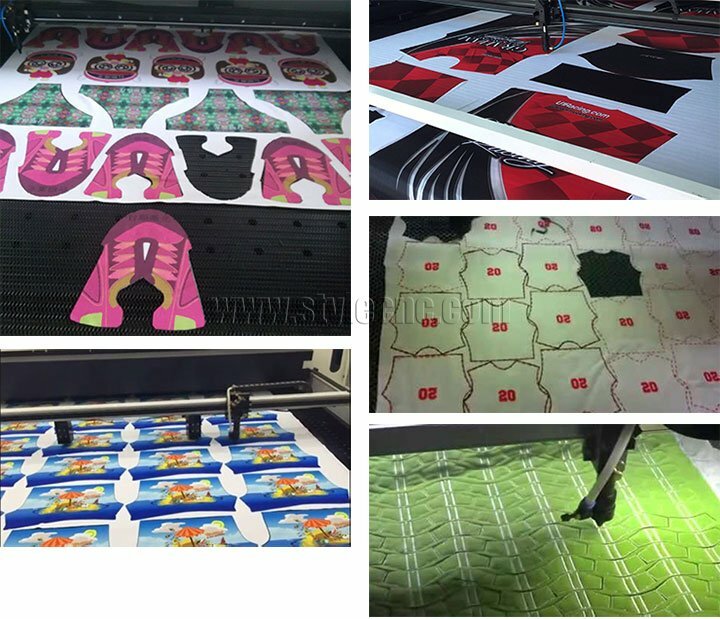 Recently the printing technology is widely used in different industry such as banners, flags, sportswear and swimsuit. What is the best solution for cutting these printing fabric and textile? Traditional manually cutting or mechanical cutting has many limitations. 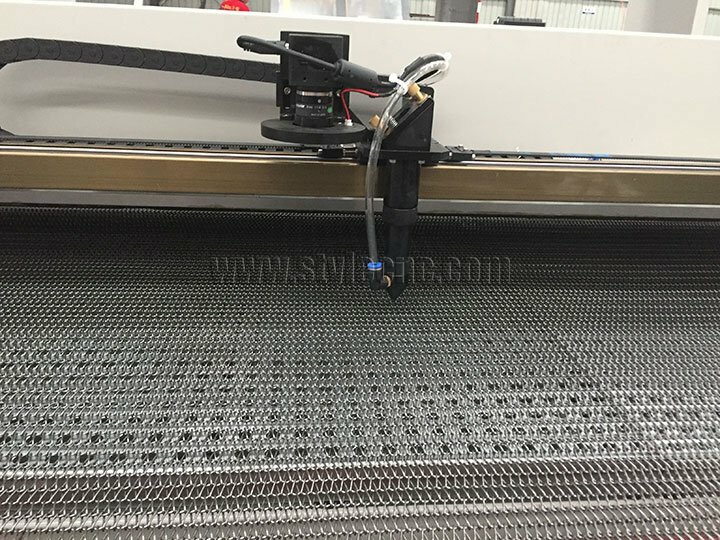 So that the laser cutting becomes the most popular solution for fabric contour cut. 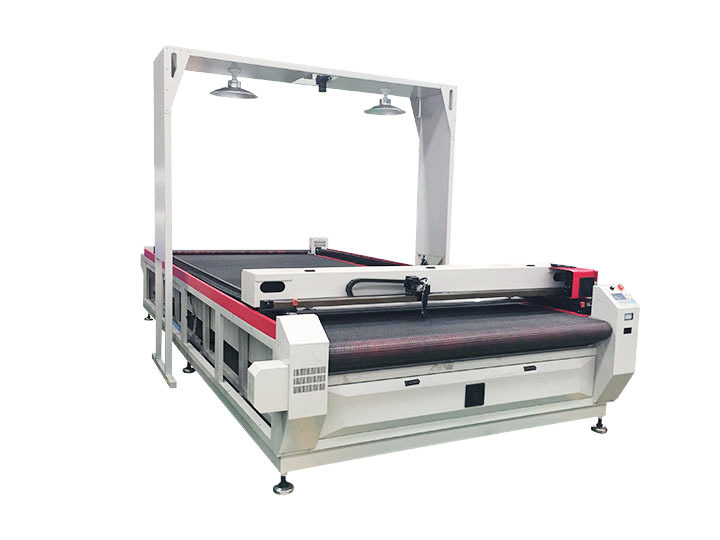 Laser cutter with CCD camera for precise positioning, CCD camera scan the fabric, detect and recognize printed contour, or pick up printed registration marks and cut the chosen designs with fast speed and high accuracy. 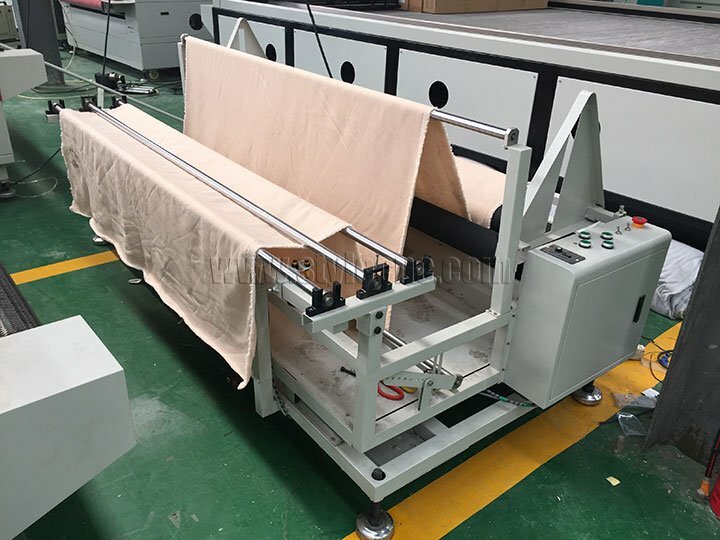 The automatic feeder and conveyor is used to keep cutting continuous, saving time and increasing production. 1. Automatic without manual intervention. 2. 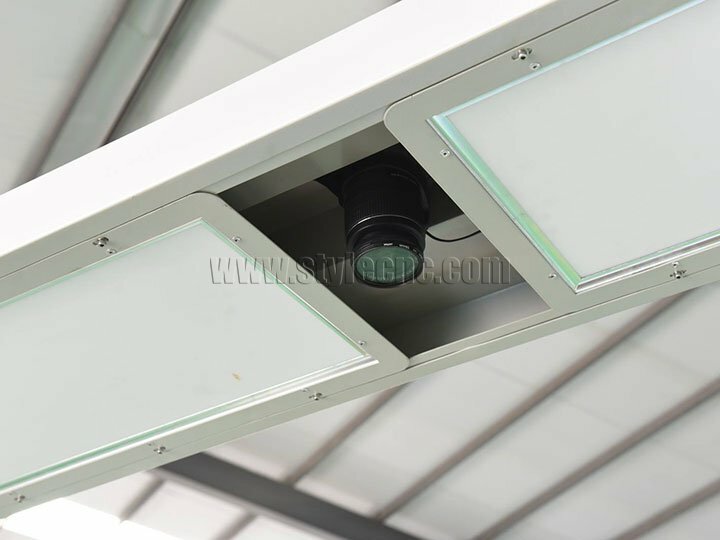 Directly detect roll printed fabrics. 3. No required the original graphics files. 4. Recognition within 5 seconds on the whole cutting area. 1. Sportswear, sports garment, swim suit and all printed fabrics. 2. Strips/plaids cutting suit, shirt, dress. 3. Fabric with Repetitive Visual Motifs. 4. Arabesquitic luxury bags, suitcase and sofa upholstery. 5. Advertising banners, flags, vinyl billboard and all polyester printed signs. 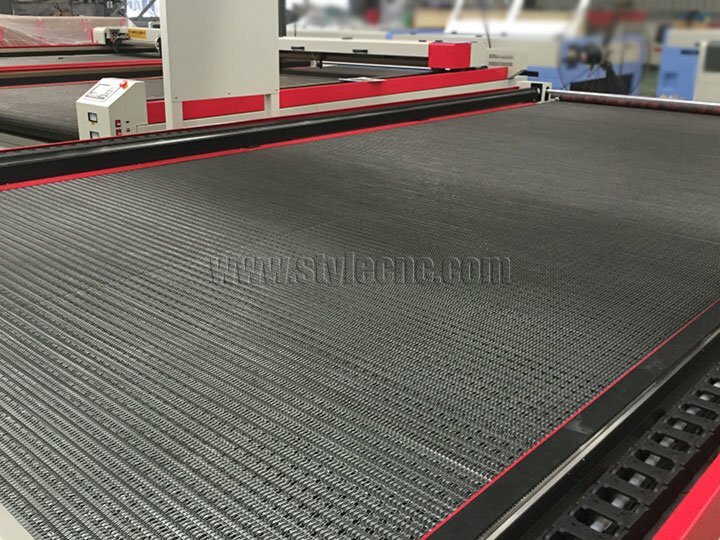 License: The text of "Digital Printing Fabric Contour Laser Cutter with Big CCD Camera" by STYLECNC is licensed under a Creative Commons Attribution 4.0 International License.